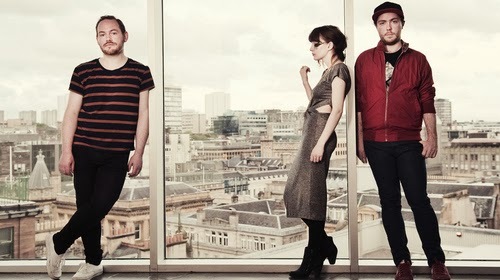 When they're not leaning against windows, Scotland's Chvrches make very good pop music. So good, in fact, they won the Popjustice prize last week - and to celebrate they're plundering their back catalogue and re-releasing their first ever single, Lies. Originally given away as a free download in May 2012, the NME named it the 28th best single of 2012. They described it as "indie disco at its most elemental and catchy", which somewhat undersells the song's throbbing urgency. A hulking, synth-driven gargantuathon, it powers over the horizon like an ten ton truck, flattening everything in its path. Lauren demands to see your knees, then shouts something about "icons of symmetry". It's totally mad, but strangely sexual. Or maybe that's just me. Anyway, the song has been given a fresh lick of paint and a fancy new video with X Factor backlighting. I wonder where the NME will rank it in this year's top 50?